One of the biggest challenges faced by companies is the retention of employees. Studies undertaken in the area indicate that the high turnover rate, especially characterized by voluntary dismissal, is motivated by non-alignment of employees' interests with company objectives. 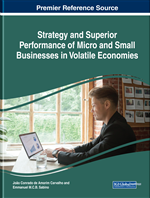 The author focused on identifying which factors related to the employees and which factors related to the companies are determinant to retain employees and reduce the rate of turnover. To answer this question, a survey was conducted with a sample of 264 people, between employees and employers, treated by factor analysis. The results showed that age, gender, and marital status are not important for the employees' permanence and that the promotion of training, opportunities for advancement, salaries, and fair benefits are more valued, as well as the employee's interest in ascending professionally. Human resources are the most important elements in the competitive process in which organizations are. Establishing lasting advantages in the modern world is only possible when these advantages can’t be imitated. Achieving this purpose depends on people, the ability to create, innovate, diversify and offer unique experience to consumers. Das and Baruah (2013) and Ampomah and Cudjor (2015) corroborate that the health and long-term success of any organization depends on employee retention. Therefore, it is the prime task of management to encourage employees to stay in business for a long time. Aguenza and Som (2012) emphasize that retention and employee involvement are fundamental to the organization. This is because they are the driving force for achieving planned development and achieving organizational goals and objectives. According to Samuel and Chipunza (2009), turnover occurs when employees leave their jobs and it becomes necessary to replace them, which entails costs for organizations. For this reason, Khan and Aleem (2014) argue that retaining employees, especially the most talented, has become the major challenge for managers.